Cabarrus County EMS fields a specialized response program known as S.T.O.R.M. (Special Technical Operations Response Medics). The team is made up of highly trained paramedics with a variety of experience and specialties. The primary response includes disaster response, tactical medical support, mass casualty incident management and spectator event coverage. It began in 1994 with seven members and limited training. Members now are trained in many areas to include tactical EMS, land search, collapse rescue, disaster medical specialist, hazardous materials, ATV response, SMAT 3, water rescue and more. The program places trained paramedics in environments where they typically have not functioned in the past. This allows for faster delivery of advanced level care. The program also provides regional and local disaster response (available through mutual aid or FEMA request). A specialized team of Cabarrus EMS paramedics undergo extensive training on motorsports accident response and provide coverage to the drivers during racing events at Charlotte Motor Speedway and zMax Drag Strip. Cabarrus EMS places paramedics on tactical police teams (SRT/SWAT) to provide early advanced care/support to team members, civilians and suspects. Each tactical paramedic receives training from the CONTOMS or the TEMS program. Team members remain active in support of three police agencies. Cabarrus EMS assigns paramedics to the local EOD team. Members respond to hazmat, terrorist and explosive events. Cabarrus EMS supports a team of disaster medical specialists for the health and well-being of two structural collapse teams in the county, as well as providing early, interventional care to patients trapped in this environment. Cabarrus EMS supports a NCOEMS SMAT 3 team responsible for local, regional and state response of MCI incidents and decontamination. All team members have extensive training in decontamination, hazardous materials, ICS and MCI. 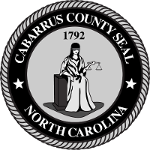 Cabarrus EMS provides paramedics for the County Search and Rescue team. Cabarrus EMS provides paramedics on ATVs for special, remote operations.